Lake Champlain is located between New York's majestic Adirondacks and Vermont's famed Green Mountains. Yet despite the beauty of this region, it has been the site of dark and mysterious events; it is not surprising that some spirits linger in this otherwise tranquil place. Fort Ticonderoga saw some of early America's bloodiest battles, and American, French and British ghosts still stand guard. A spirit walks the halls of SUNY Plattsburgh, even after his original haunt burned in 1929. Champlain's islands--Stave, Crab, Valcour and Garden--all host otherworldly inhabitants, and unidentified creatures and objects have made appearances on the water, in the sky and in the forests surrounding the lake. 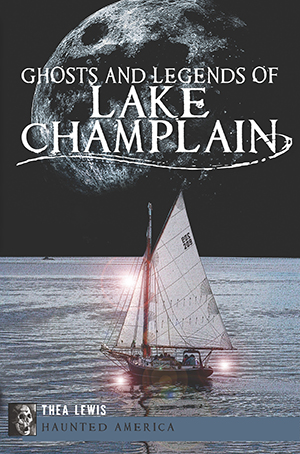 Join Burlington's Thea Lewis as she explores the ghosts and legends that haunt Lake Champlain.